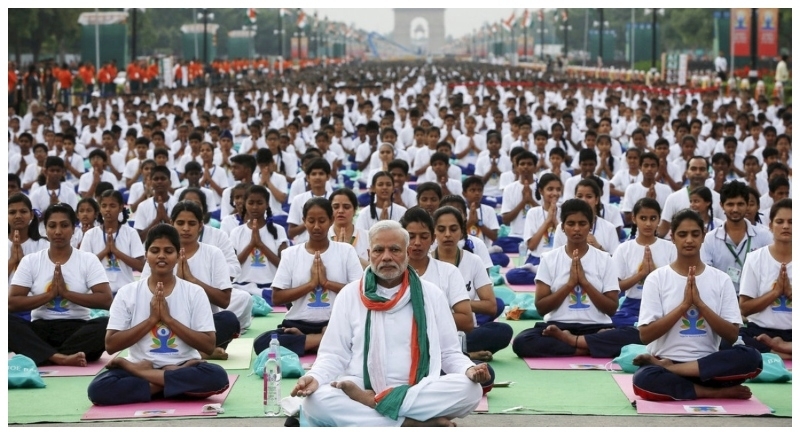 Dehradun, May 29: Take out your Yoga mats, exercise clothes etc as less than a month for International Yoga Day (IDY) is remaining, preparations have started as this year’s celebrations of Main Event is to be organized in Dehradun on June 21. Vaidya Rajesh Kotecha, Secretary, Ministry of AYUSH announced today that Dehradun (Uttarakhand) has been selected as the venue for Mass Yoga Demonstration (Main Event) of 4th International Day of Yoga on 21st June 2018. Kotecha is in Dehradun to initiate the preparations regarding this mega event. In this regard, Shri Kotecha along with concerned Joint Secretary has met Chief Secretary, Government of Uttarakhand to discuss various arrangements for organizing Mass Yoga Demonstration of 4th International Day of Yoga at Dehradun.